Description: !!!!!!STOP!!!!! PLEASE READ FIRST!!!!!!! 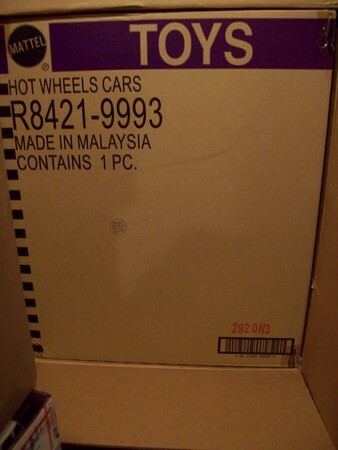 2010 Hot wheels Annual RLC Factory Sealed Master Case. 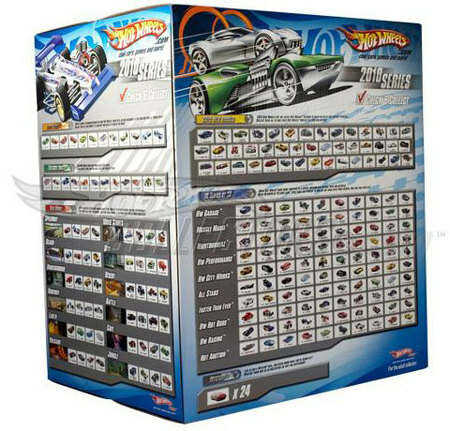 These are the end of the Year Master Cases which are offered usually in mid December of each Year which this one contains 447 Mainline Car released during the 2010 Year plus all the Treasure Hunts, Mail in offers, Walmart Special Edition Cars and Kmart Special Edition Cars. This item shipped to me inside a Shipping Carton and a Mattels Shipper Carton and then the actual Case that the Mother load of Mattels Master Case Cars are in, 447 of them in all. Shipping cost will be based on location. Please wait for your invoice before paying. International Inquiries are welcomed, however, consider its 70+ pounds of weight shipped. International USPS Shipping will be in the neighborhood of $735.00 which also depend upon Region of the World it Traveling too. It could be a little then the cost mentioned. Enjoy your TTP Experience. **I WILL CONSIDER ALL OFFERSSERIOUSLY**.